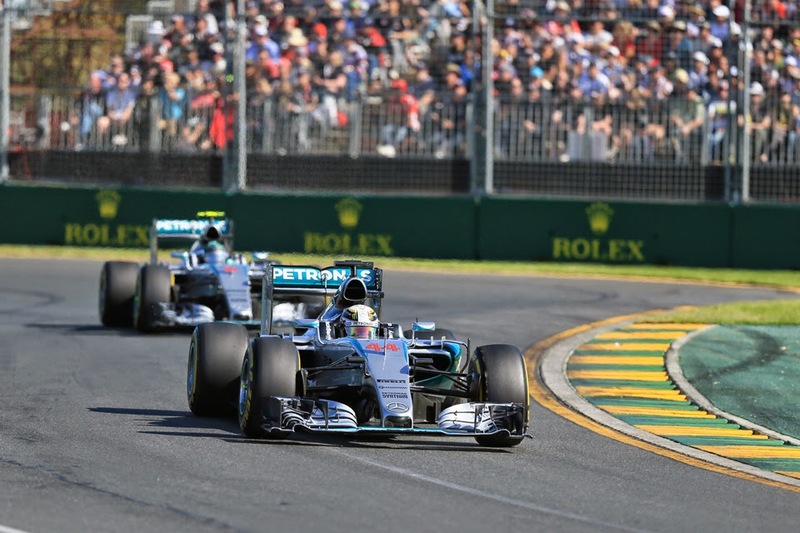 We didn't really need confirmation, but in Melbourne last weekend we got it away. The Mercedes advantage over all others is gargantuan. Indeed if there has been any change since its haughty 2014 campaign it has been to make its preponderance yet more crushing than before. No great revelation. But strange though it no doubt seems time was that it would have been a surprise, even with the team sweeping the board the previous year. As then a triumphant F1 campaign was viewed in its own way a curse as much as a blessing, because such triumph was thought to make it less likely that you'd prevail in the next season. A certain Jackie Stewart said these words in 1986, just after Alain Prost had clinched his second title on the spin in that most dramatic of final round shoot-outs in Adelaide. And as JYS's words indicate at the time such a feat was considered remarkable is its being rather unusual. Little wonder too, as Prost had just become only the fourth F1 driver ever to take back-to-back titles, after only Alberto Ascari in 1952-53, Juan Manuel Fangio in 1954-57 and Jack Brabham in 1959-60. And even if you expand it to teams getting two drivers' crowns on the bounce you can only add Alfa Romeo in 1950-51 and Brabham in 1966-67, while reducing Fangio's run to those titles in 1954 and 1955 won with Mercedes (even today, only Fangio has ever won consecutive F1 championships with different employers). 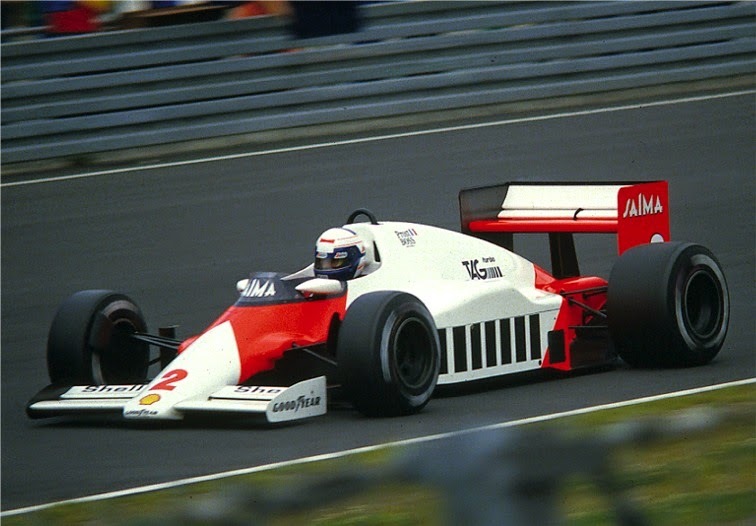 Prost's 1986 title with McLaren was also the third in a row for the Woking team, as the squad's own run had started with Niki Lauda's crown in 1984. But otherwise it was F1's way that champion drivers and teams, including plenty of dominant ones, deflated and sometimes to nearly nothing in their follow-up campaigns. Up until that point F1 underlined the truism that if achieving success is difficult, sustaining success is much more so. But at roughly the same point in history - the mid-1980s - matters turned. As it marked the start of the era of the F1 dynasty, where if a team rose to take the ultimate honours it seemed it could hardly fail to follow it up with similar triumph in the following season. From 1984 to the present day (not including 2014 given it hasn't had an opportunity to be part of a run yet), of all of the drivers' championships won a mere four have not been part of a run of two or more back-to-back titles for that team. And one of those - Nelson Piquet's in 1987 - almost certainly should have been part of a Williams pair, had its two drivers not managed to fumble the thing between them in the afore-mentioned 1986 campaign, in which the Williams' was clearly the quickest car. Otherwise only in the three years of 2007 to 2009 - the respective annual crowns going to Kimi Raikkonen for Ferrari, then Lewis Hamilton for McLaren and then Jenson Button for Brawn - were the drivers' titles not part of a sustained run. In other words, 26 out of the 30 drivers' titles clinched in this modern era have been part of a team's back-to-back triumph. While by comparison prior to 1984 and going right back to the world championship inception in 1950, only ten out of the 34 drivers' crowns were won as part of a bunch for a team. Quite the shift. Indeed on the contrary to what Stewart observed back in the day in F1's modern times success breeds yet more success. A couple of good examples are that if you think to both of Sebastian Vettel's run of four consecutive titles and Michael Schumacher's run of five, in either case their first title was much more of a close run thing that most of those that followed it. Title in pocket their dominance grew. So why has this changed? Well, to apply some conjecture, F1 teams have changed, in that now they are much bigger than was the case before the mid-eighties. Even the not so good ones are made up of several hundred employees while by contrast some championship winning teams as late as the early 1980s were a motley handful of inspired individuals. Indeed when Williams first dominated the sport in 1979 it did so with a princely total of 32 employees on its books. One thing we can infer from this is that building a winning team has got harder and is much more of a precise, lengthy and laborious exercise than it used to be. In this ilk I recall Ferrari technical director James Allison last year talking about the challenge of getting a struggling team back to a competitive pitch, and explaining that these days there simply are no magic bullets: 'Any team in F1, any of them, good or bad, are all pretty impressive organisations and it's actually much much easier to make them worse than it is to make them better' he said. Perhaps a team less reliant on particular individuals, which you'd also assume from larger numbers, also is less susceptible to the 'resting on laurels' that Stewart described. So, even if we were to somehow ignore the massive Mercedes competitive advantage of 2014 as well as that the evidence of pre-season testing was that the team had maintained it, we should not be surprised that Merc is all set to sweep the board again this year. Modern F1 history suggests that it was overwhelmingly likely whatever was the case. To put it simply, reaching the top in F1 is the result of years of hard work and spending, putting the right infra structure in place. It's not the result of superhuman effort but organisational effort and that is why it has staying power. That is also the incentive for the people involved, they know the hard work it takes to reach the top and they know you can be working night and day just to keep finishing outside the points so once they get there they never ever want to let go. That's how they stay motivated for success. Because they know how hard it can be to get back up.